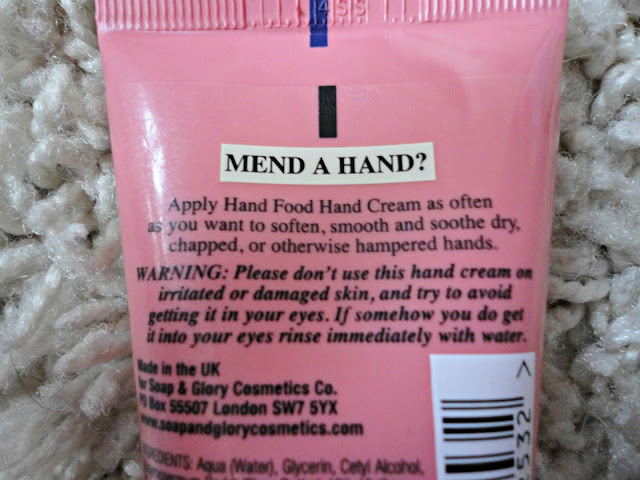 As far as hand creams go, I'm no expert. Generally I don't have a huge problem with dry skin on my hands but this winter made my hands get so awful that I needed to invest in a hand cream! 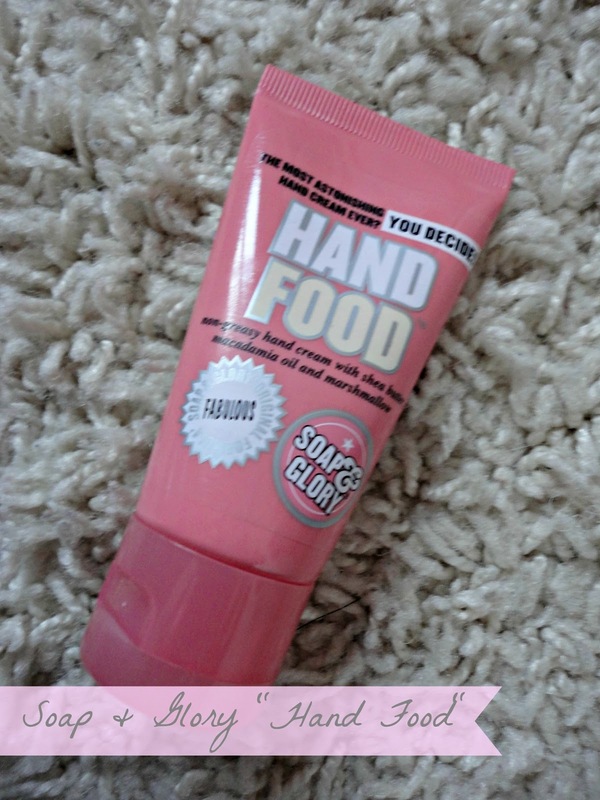 I went for Soap & Glory's "Hand Food" because of the amazing smell - as always. Plus, you can buy mini versions for £2.50 if you just want to try something out without buying the full size version. I apply this every night before I go to bed and it leaves my hands feeling so soft in the morning. Luckily there's no greasy feeling and it takes literally seconds to sink in if you use a 10p sized amount all over your hands. It smells fruity and fresh, similarly to the "Butter Yourself" body butter from S&G. There's not really a huge amount you can say about a hand cream, but I haven't had any problems with this and I'd really recommend it if your hands need some extra moisture. I'm sure it could be used on other areas (eg. elbows, knees etc) but I haven't tried that yet. 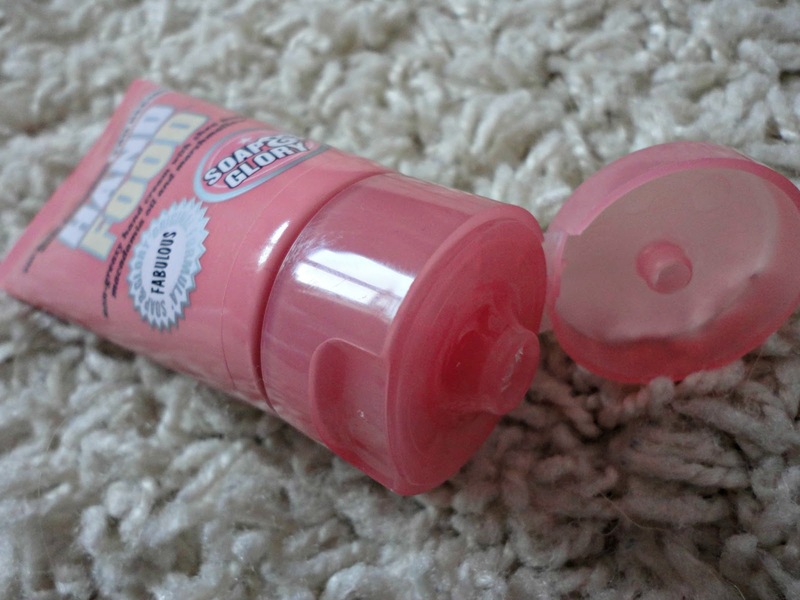 I'm pretty sure I'm going to run out of this soon (look out for it on an Empties post!) but I'll have no problem getting the full sized version when I do!